NumericTextBox is an advanced version of the Entry control that restricts input to numeric values. 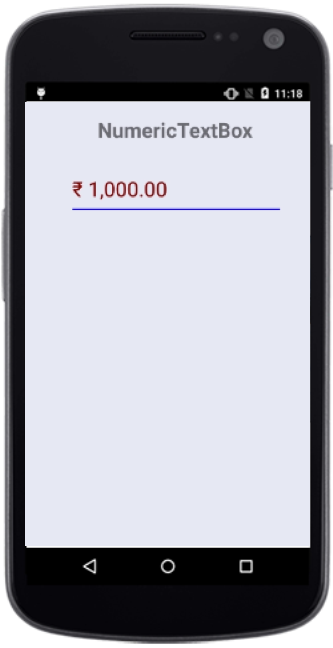 The below illustrates how to create the NumericTextBox control in Xamarin.Forms Android platfroms. For getting the view of NumericTextBox control, need to add the following assemblies in both PCL and android in Xamarin.